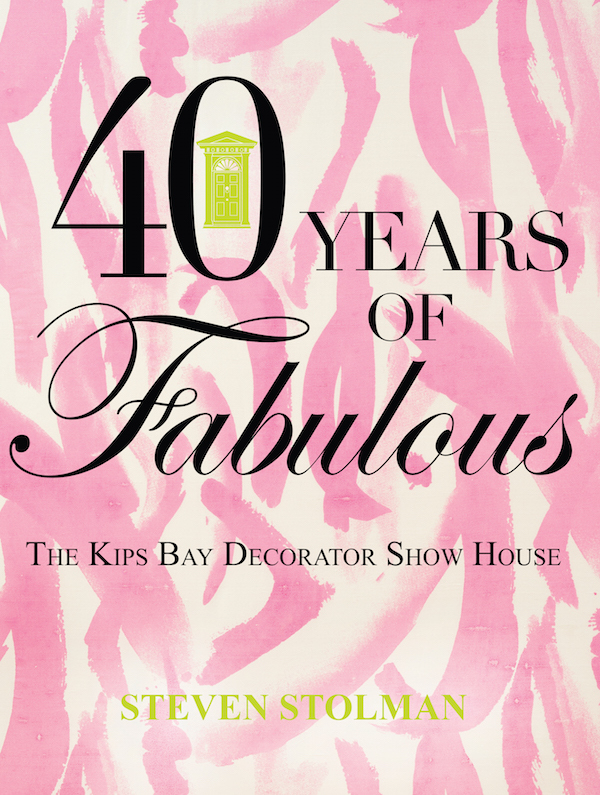 The Kips Bay Showhouse 2015 edition is celebrating its 43rd year and the 100th year of its beneficiary organization, the Kips Bay Boys & Girls Club. 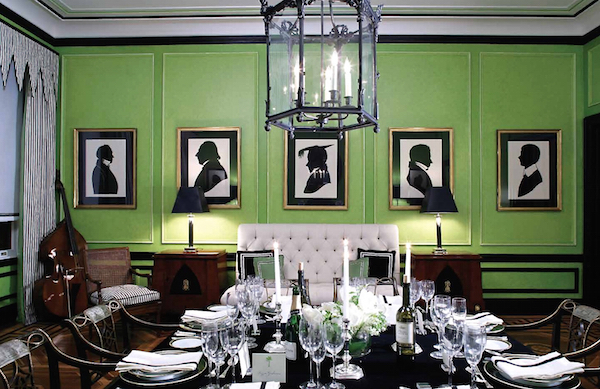 In a recently renovated townhouse in the heart of the upper east side, twenty-two top designers transformed rooms, entries and hallways of the elegant five story Arthur Sachs Mansion. 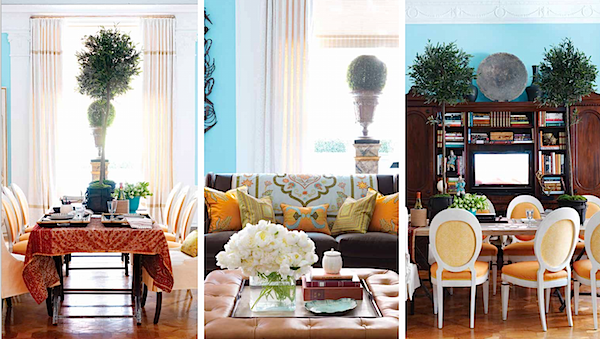 Susanna Salk and I had the privilege of visiting, over the course of several weeks, four of the designers, behind-the-scenes in their offices, at the showhouse and out and about as they plotted, planned and shopped for their rooms in record time. Please join us and Alessandra Branca, Jamie Drake, Thom Filicia and Mark Sikes for an insider journey in design. 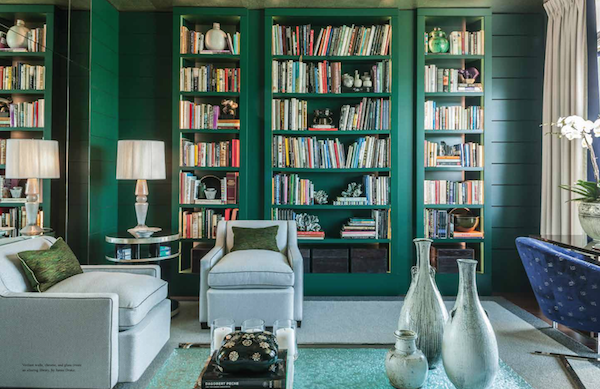 Each year, the design world anxiously anticipates the inspiring spaces at the Kips Bay Showhouse. 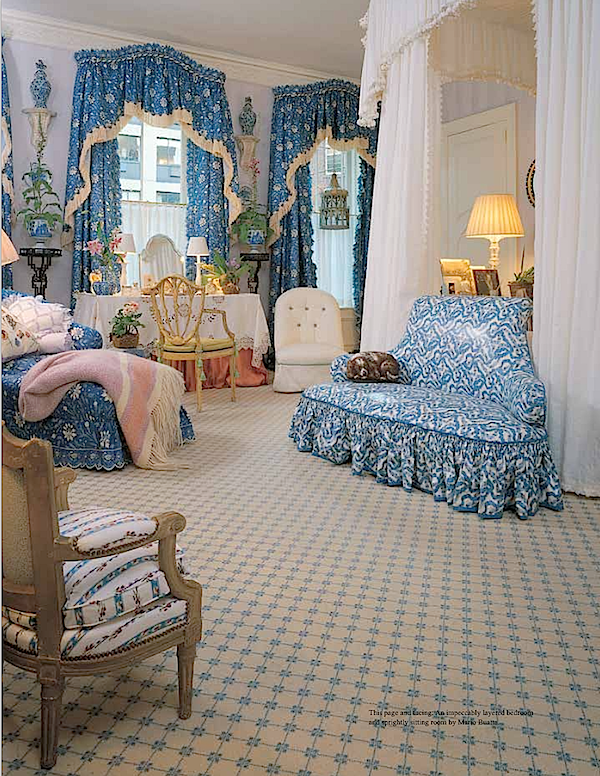 And now many of the most memorable rooms from the last forty years have been chronicled in Steven Stolman’s collectible volume, 40 Years of Fabulous: The Kips Bay Decorator Show House. and Jamie’s luscious library from 2012. But of course living legends are included as well. 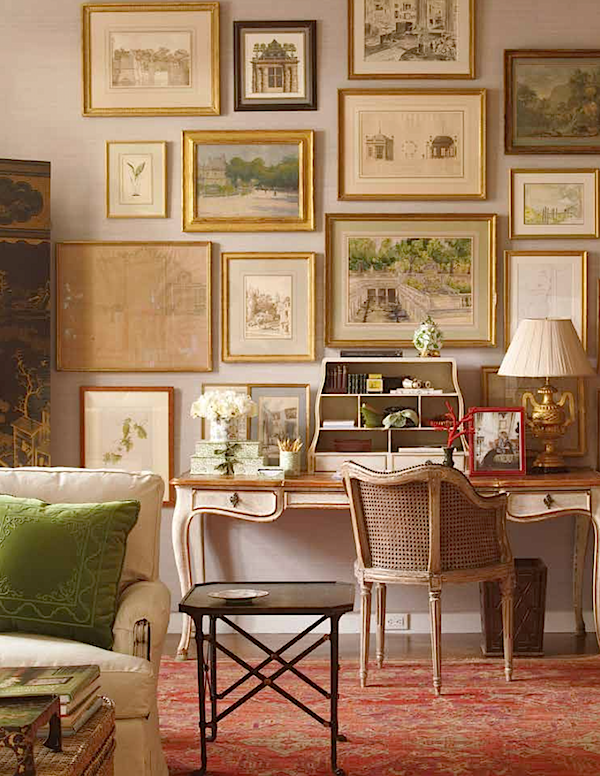 Bunny Williams has served for years as chair of the Showhouse Committee and wrote the foreword for the book. 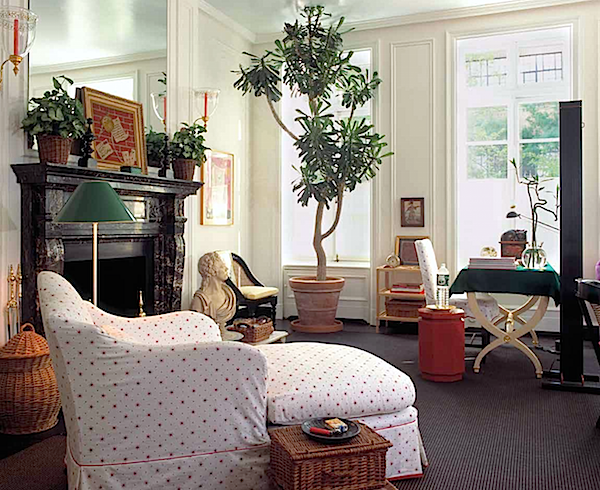 One of my favorite Kips Bay rooms of hers is shown below through three vignettes. You can’t talk about Kips Bay without mentioning Mario Buatta, who has contributed so many times over the years – one of his most memorable rooms below. With a plethora of images from four decades of dazzling design, the book is a testament to the enduring power of Kips Bay to both attract top designers and inspire them to outdo themselves year after year. We were thrilled to be a part of this year’s show and do our part in recording for posterity a little bit of the Kips Bay magic. This entry posted in art, design, interior design, Stylish Shopping. 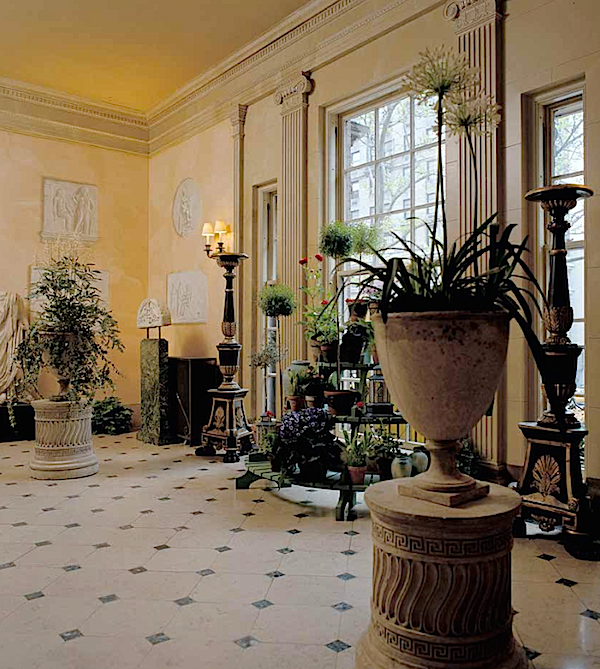 Entry Tags: Alessandra Branca, design video, interior design, Jamie Drake, Kips Bay, Kips Bay Showhouse, Mark Sikes, Thom Filicia Bookmark the permalink. Loved the video! So much fun to see these talented designers & have a peak into their design process. Great post. Love kips bay (and all the show houses). Will you be visiting Maison de Luxe this year in LA? I’ll be designing the grand foyer and I know Mark D Sikes is doing a room as well. Thank you for starting my Friday off to a superb start. Great video. Fantastic peek into the process of creating these amazing rooms! Ladies, you are the best along with these most amazing designers!! Great video and the rooms, yum!! So fabulous to get a peek behind the scenes, thank you so much! Pierre Frey Collections in so many different room settings. Beautiful. 81 queries in 0.597 seconds.